TrueView is an ad format deployed on the YouTube platform with which users and advertisers interact with the ad content. The four formats of TrueView ads are In-stream, In-slate, In-search and In-display. Early in May 2017, Google quietly paused the TrueView ad format with the intent to protect brands. The changes were promised by the platform in March 2017 when US and UK advertisers began to pause their campaigns after noticing that their ad content was appearing on objectionable content uploaded on YouTube. Pausing the TrueView platform will give the search engine giant some time to reconsider and improve their brand discovery options. The new and updated ad infrastructure will protect the advertising brands across all the ad formats. According to reports on Marketing Land, the ad platform will remain paused till the second quarter to 2017. 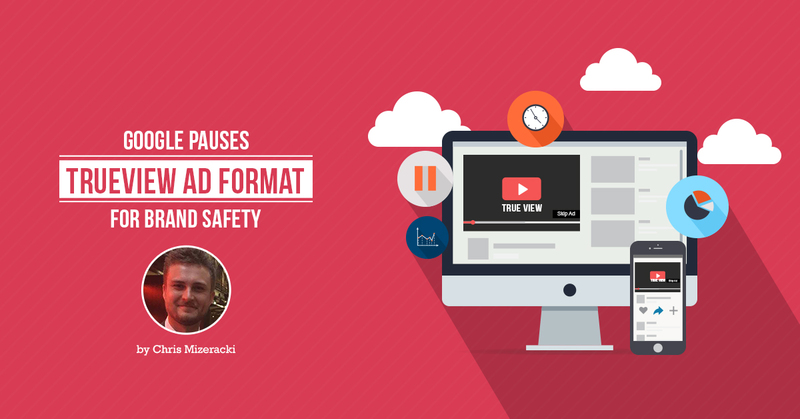 Speaking to the Marketing Land team, a Google representative mentioned that the temporary pause is to improvise their content display metrics and algorithm. The newer Discovery platform will utilise razor sharp datasets to ensure the branded ads reach the right audience. Presently, the TrueView pause impacts the discovery ads on YouTube; however, they will continue to appear on partnered video websites within the Display Network. Ads will not display on objectionable content by default. Google has actively revised their “hate speech” policy, giving the company higher authority to determine which of the videos can be monetised. Further, YouTube has revised their guidelines for advertisement display. From April 2017 onwards, channels will be eligible to enter the YouTube Partner Program only after reaching 10,000 views. Once the threshold is met, the channel will undergo a review process. The extent of the problem is not clear yet. However, reports from MediaRadar, an advertising intelligence firm, state that April 2017 was the first money showing a decline in the number of advertisers. Companies like AT&T, Dish, Starbucks, and Pepsi paused their ad campaigns whereas brands like Johnson & Johnson, GM, and Verizon chose to selectively advertisers on certain ad formats. Chris Mizeracki is a project manager at ETRAFFIC who has specialised in Google Adwords Campaign Management & Strategy. For over 6 years, Chris has personally handled more than 700 accounts, and helped Australian businesses generate more revenue using paid search campaigns.